Sushi! 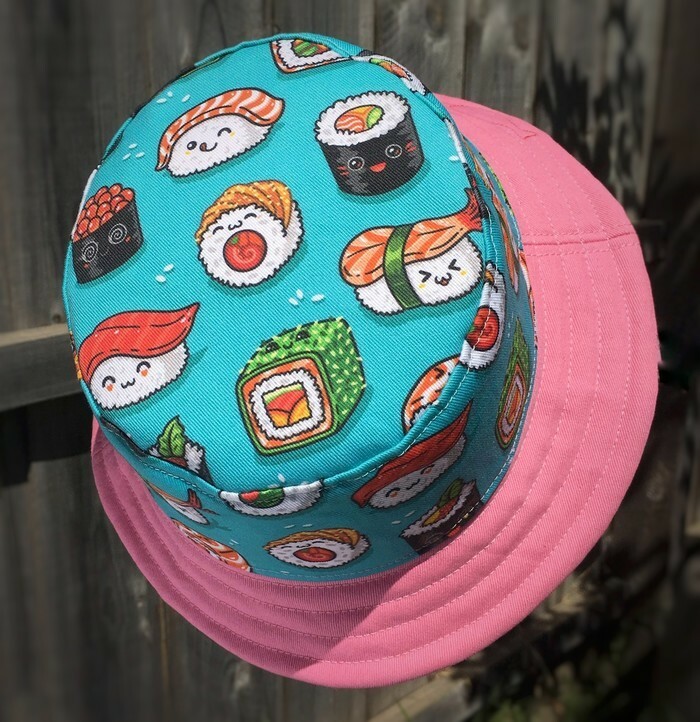 This adorably quirky print stops everyone in their tracks - and that’s before they notice the soy sauce fish stitched into the brim 🙈 Light and comfortable, this bucket hat is handmade from durable cotton canvas with a pink cotton drill brim, and lined with 100% cotton shirting fabric. 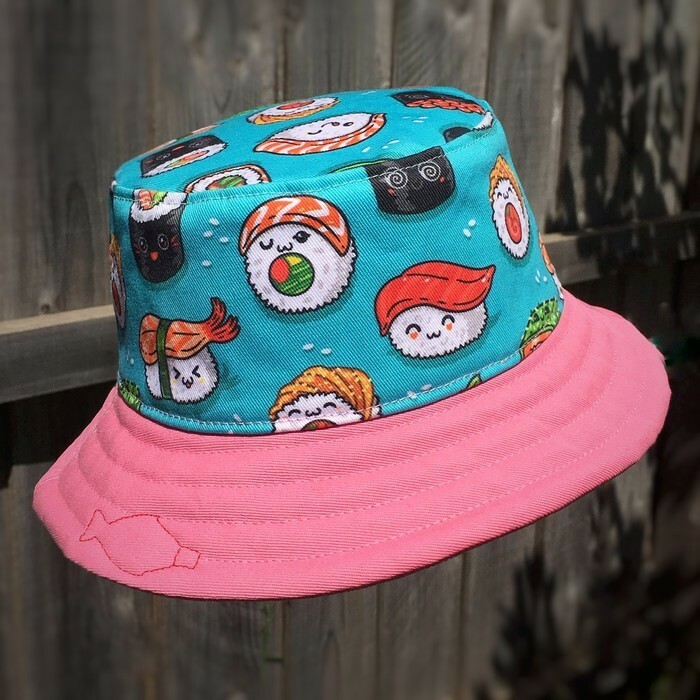 With an inner circumference of 50cm, this bucket hat will fit most girls who are 2 to 3 years of age, and boys aged 2. To be sure, take a measurement around the child’s head, placing the tape just above the eyebrows and ears. 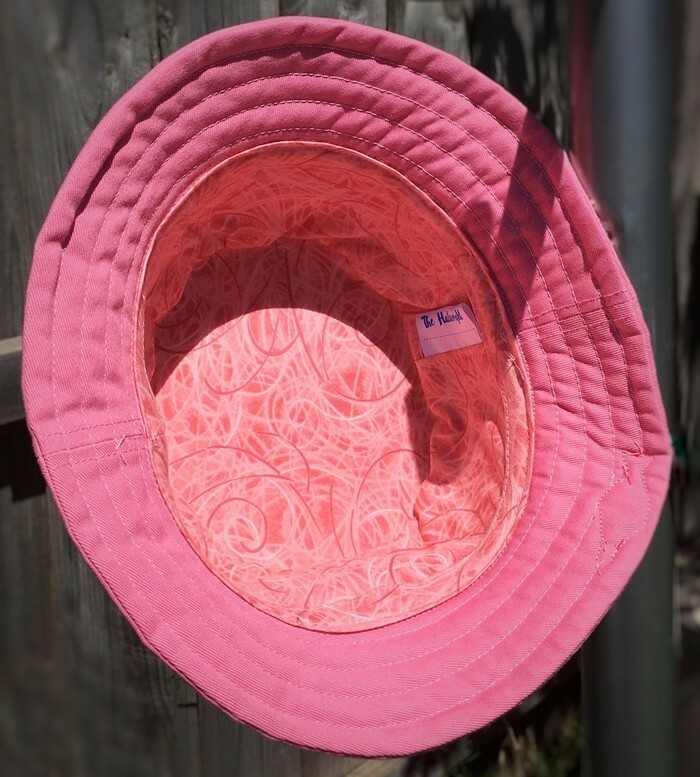 Add two centimetres to this number and you have the correct hat size.